My son, attend to my words; incline thine ear unto my sayings. Let them not depart from thine eyes; keep them in the midst of thine heart. 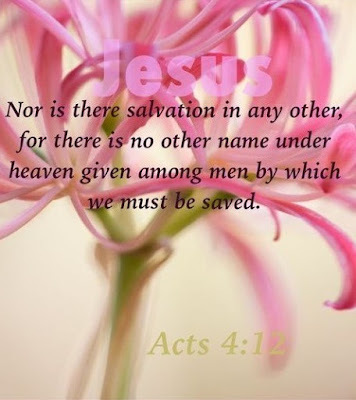 For they are life unto those that find them, and health to all their flesh. 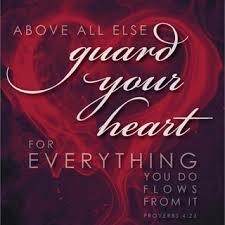 Keep thy heart with all diligence; for out of it are the issues of life. As we approach the subject of healing and deliverance, we should do so with a proper attitude. Always remember that seeking and ministering physical healing is secondary to spiritual reconciliation through Jesus Christ which is the greatest miracle of healing. It is helpful to understand some of the attitudes regarding healing ministry in this area. Do not enter this realm of ministry seeking formulas and methods to receive or minister healing. The Bible gives no specific formulas, although various principles are revealed. Instead of seeking formulas, understand that the Healer is within you. Seek to increase your knowledge of and intimate relationship with God. In regards to healing and deliverance, there are current attitudes you will face from believers who have . . .
¨ Ignored it: When the high number of verses devoted to the subject of healings in the New Testament is compared with the low number of pages written on the same topics in modern theology, there is seemingly a trend to ignore the subject in many modern religious circles. Some believe healing in theory, but ignore it in practice. Others ignore it because they cannot answer all the questions associated with sickness and suffering. Some ignore healing because of fear of failure. We seem to have a double standard. We pray confidently for finances, wisdom, and guidance but we are fearful to pray for healing. Others do not realize how rationalism and materialism have affected them. Many must "see to believe" and are consumed with the natural, materialistic world. ¨ Denied it: Some people deny healing and deliverance are for today because they have no theology, model, practice, or experience with it. The New Testament Gospels contain 26 accounts of physical healing. The book of Acts contains five. Physical healing is mentioned in I Corinthians 12:8-11 and 28-30. Specific instructions on how to pray for the sick are given in the book of James. There is nothing in the Epistles that modifies the Gospel's teaching on healing. Praying for the sick was taken for granted at the time the Epistles were written, and there is no hint that divine healing was controversial in the early church. ¨ Complicated it: Many people have complicated healing and deliverance with traditions of man contrary to the Word of God. Others have complicated it with experience. They may have prayed for healing and did not receive it. But you must base your beliefs on the Word of God, not on experience (except where experience supports the Word). Bad role models of healing have also complicated this issue. People have seen personality cults, healing for money, deception, and undue focus on physical healing instead of wholeness. Healing and deliverance have also been complicated by imbalance. Any truth, no matter how valid, emphasized to the exclusion of other truths is practical error. ¨ Delayed it: Some people delay ministering healing and deliverance because they do not have the answers to everything. They do not understand why some are healed and others are not. It is not necessary to understand everything about healing in order to minister or receive it any more than you understood everything about salvation when you were saved and began to witness to others. 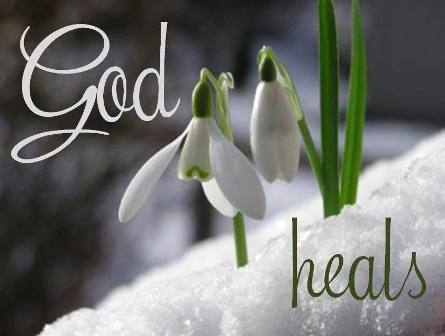 Some answers come as you minister and experience God's healing power. Other questions will never be answered. If you knew the "why" and "how" about everything, then you would not need God. The Bible says "we know in part." Healing concerns sickness and suffering and tject. Many are being destroyed physically and spiritually because they do not know what God's Word teaches regarding healing. here will always be mysteries because the mystery of iniquity is at work. Jesus called us to preach, teach, heal, and deliver. Healing and deliverance should not be left out, but neither should they be emphasized to the exclusion of teaching and preaching the Gospel. The Bible reveals that our churches are to be healing centers. Then said he unto him, A certain man made a great supper, and bade many: And sent his servant at supper time to say to them that were bidden, Come; for all things are now ready. And they all with one consent began to make excuse. The first said unto him, I have bought a piece of ground, and I must needs go and see it: I pray thee have me excused. We are to see people healed rather than turned away.
. . . The diseased have ye not strengthened, neither have ye healed that which was sick, neither have ye bound up that which was broken, neither have ye brought again that which was driven away, neither have ye sought that which was lost; but with force and with cruelty have ye ruled them . . .
As you read this, you must disregard past experiences and the traditions you have been taught. You must be teachable. One of the marks of wisdom from above is that it is open to reason. You are in danger spiritually when you stop being teachable. Remember that the sin of presumption is putting God in your little "mold." Job's friends sinned in this way. Universal application of individual experience is wrong. Act as if you have never heard the traditional teachings of man or your denomination on it. Accept what God's Word says: If it says you are healed, believe it. If it says to lay hands on the sick, do it. The Holy Spirit are resident within. Healing is not something you seek from the outside, but you learn to release it from the inside. You are seeking only to understand principles that release that power within. Excellant! To add to it in Matthew alone there are ten times that states all were healed. Matthew 4:23-24 is two seperate accounts and two different places Galilee and Syria that He healed masses. Futhermore, people overlook the fact that Jesus had 82 disciples healing as well. Before He entered a city, while He was in the city and afterwards. You stated " Instead of seeking formulas, understand that the Healer is within you. Seek to increase your knowledge of and intimate relationship with Him." Awesome and absolutely true! In other words if I think healing comes by my actions (the law is based on our actions) God's Grace/Favor isn't. Then I have fallen from God's Favor in Christ. To many people think it's "a lack of Faith" so they seek to "get more faith" (our action). In other words it's unbelief in God's Grace/Favor. Many people of great faith die, because they think it's their faith that will give them their healing. It is the faith of Christ (not ours) that brings healing. "That no flesh shall Glory" If I can claim it was my "great faith" that got me healed then that is my flesh taking the credit for a free gift! This is not a theory nor is it theology, I got from studying. Jesus showed me this through my own healing. Does it take faith, yes! The size of a grain of a mustard seed. Likewise when I pray for the sick, it isn't my "great faith" that gets them healed, it is a free Gift from Jesus that I am simply giving away! Amen Tony! You have a powerful testimony! Thank you for your input also!